We know how passionate sports fans can be for their teams (Fly Eagles, Fly! ), and for playing the sport themselves (tell us about your sports passion in the comments!). And what if that passion for sport can be harnessed to help others? That’s the question that Santiago Halty is answering, following his own passion of soccer. 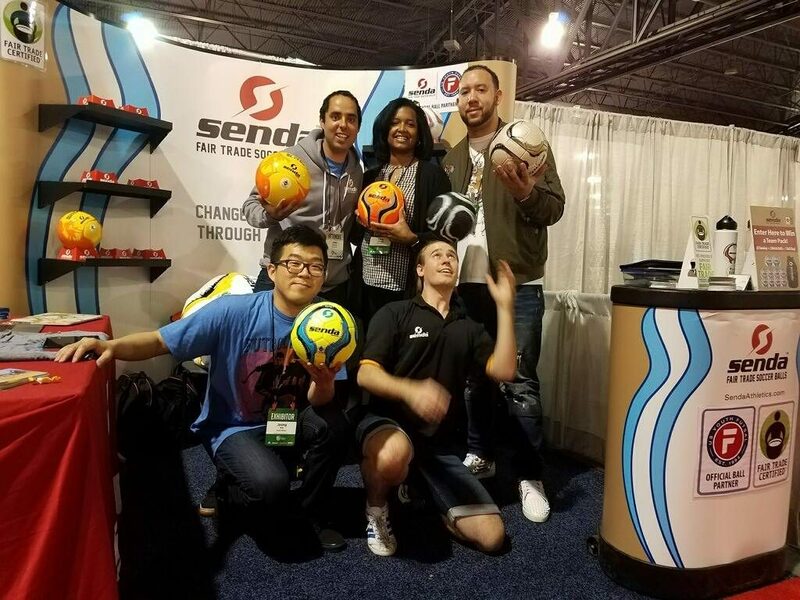 His company, Senda Athletics, makes Fair Trade soccer balls, provides fair wages to Senda’s workers, and sells the balls primarily in the United States. Profits go to support nonprofits that use soccer to help young people improve their lives through sports. “We hope to inspire the millions of soccer lovers at home and abroad to explore how to utilize their soccer passion to make a positive impact in the lives of others,” says Halty. Senda is remarkable not just for their spirited team, but for their commitment to creating a quality product fairly, to fostering community, and to reaching beyond their customers to be a force for good. You can buy Senda balls online on their website, in our hometown of Media at Earth and State, on Amazon and other online retailers.